A Brockley fish and chip shop is the first restaurant in the capital – and one of the first in the country - to offer newly certified Marine Stewardship Council (MSC) sustainable North Sea cod. Brockley’s Rock on Brockley Road, SE4, immediately began sourcing North Sea cod when news of its sustainability certification was announced last month. The British fish will be sold alongside other MSC species including Norwegian cod, plaice, haddock and hake on the chippy’s menu. Over a decade since stocks came close to collapse, North Sea cod caught by Scottish and English boats was awarded MSC certification in July. The news means that – subject to strict traceability requirements – North Sea cod can now be sold in restaurants and takeaways bearing the MSC ‘blue tick’ label, indicating that it is sustainable and fully traceable. Shoppers can also buy MSC North Sea cod from Waitrose and it is expected to appear in other major retailers soon. Owned by Kyri Karoulla, Brockley’s Rock prides itself on sustainability and is one of almost 100 fish and chip shops in the UK, and only two in London, to be MSC certified. As well as fish and chips, the menu includes grilled seabass, salmon, calamari and prawns and a gluten-free offering every Tuesday. 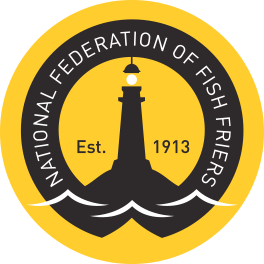 The shop was also recently awarded the National Federation of Fish Friers Quality Award. Kyri comments, "I’m really proud to be the first to offer Londoners a taste of MSC sustainable North Sea cod. For a fish and chip shop, sustainable British fish is as good as it gets so it’s great we can put cod from our own waters back on the menu. Our MSC certification means we can trace all our certified fish back to the boat it was caught from. It also means we and our customers are doing our bit to protect fish stocks and the oceans”.